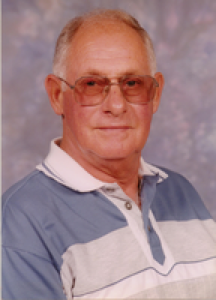 Claude E. (Rabbit) Sullivan, 73, 216 Doorley Rd., Apt. C, Sidney, Ohio died at the Dayton Heart Hospital, Dayton, Ohio on Saturday, July 18, 2009 at 2:30 PM. He was born October 24, 1935 in Williamsburg, Kentucky the son of Clyde and Cynthia (Steele) Sullivan and they preceded him in death. He is survived by a daughter, Kimberly S. Morgan and her husband Danny of Troy, Ohio and three grandsons, Michael Mosely, Brandon Mosely and Eric C. Sullivan and other family includes aunts, cousins, nieces and nephews. He also leaves behind many friends and co-workers. He was the last surviving member of his family. He was a member of the Shelby County Senior Citizens in Sidney, Ohio. He had worked at Amos Press for many years and Copeland Corp. for 44 years retiring in 1997. Graveside services will be held at Cedar Point Cemetery, Pasco, Ohio on Thursday, July 23, 2009 at 2:00 PM with Rev. Leamon Branscum. In keeping with Mr. Sullivan&#39;s wishes, there will be no visitation. Memorial contributions may be made to the American Heart Association, P. O. Box 163549, Columbus, Ohio 43216-3549.